Download your Brochure and Sample Reports. 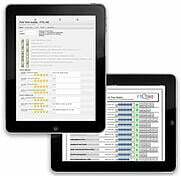 Improve "first time quality" using mobile/web inspection software. Perform inspections in the field with your iPad or mobile device. Review and mark checklists. Track quality issues and manage crew performance.